Since, we have come to the end of Black History Month and entering Women’s History Month, these versions of ‘Freedom’ are all about black female empowerment. From the motion picture “Panther”, ‘Freedom’ a song that may have inspired Beyoncé’s ‘Formation’ takes on the issues of black liberation and womanism through two different versions. Lyrics like “Ladies, you got to demand what you want, and what we want is respect, right” are demanding that black women, who have always been left behind in civil rights, be heard and get the same respect as our counterparts. Versions, rap and songstress, featuring various artists including: Queen Latifah, Yo-Yo, TLC, MC Lyte, Salt-N-Pepa, Aaliyah, and Mary J. Blidge. It’s rare that we get to see more than two covers with gorgeous black faces. This month we’ve been blessed with five. 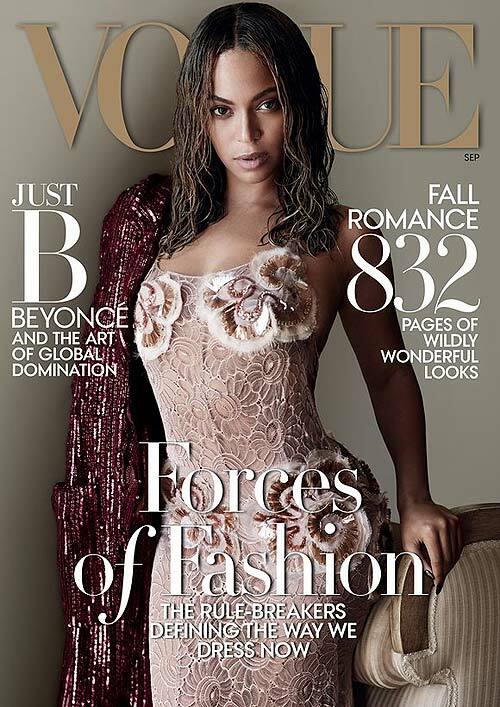 Beyonce covers Vogue’s September issue. This is the biggest issue Vogue produces every year. It’s their yearly fashion issue. This issue is always amazing for the magazine. Add Beyonce and it’s a game changer. Misty Copeland is the first African-American principal dancer for the American Ballet Theatre. Copeland rose from poverty to being on ‘pointe’ on Broadway. She made her broadway debut in “On The Town” on August 25th. 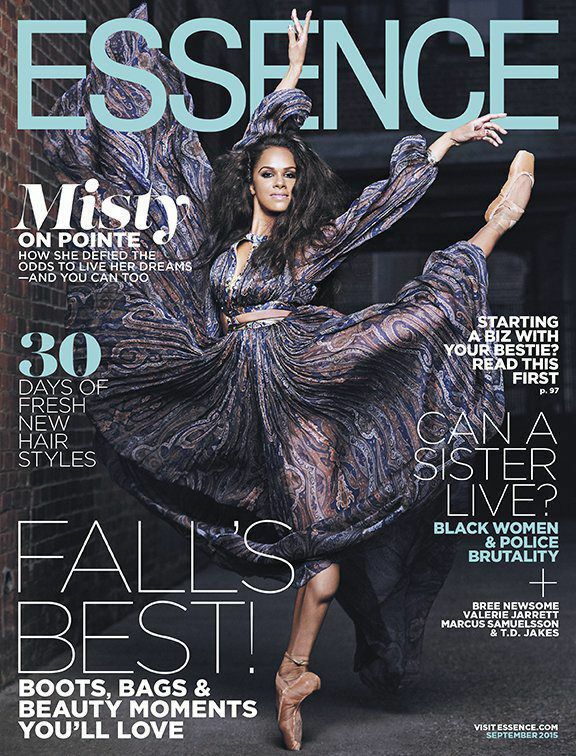 She covers this September’s Essence. Even though we always see black faces on the cover of Essence, this cover will forever represent history. After a public break-up with boyfriend Future and giving birth to her first child, Ciara shows us she’s stronger than ever on the cover of Shape magazine. With her hands wrapped, she’s a knockout! We’ve all seen the Scandal star on the cover of Glamour this year. It wasn’t the most ideal look for Ms. Washington, but the Kerry I love is back. With her melanin on fleek, she shows her true ‘Self’ this September. I love seeing my favorite black celebrities on the newsstands. I love magazines so much, and I always want to be able to see myself on one of the covers. This September it happened the right way.